Pastor, professor and author Paul Stevens has a winning book. If the title does not appeal to you, wait until you discover he’s not just talking about your actual earth-life, but also about your life in eternity. That’s a dazzling concept — and it adds a new dimension to the quest to discover how God has gifted and guided you, because the answers might stretch forth a great deal farther than you think! “Aging is a paradox. Everyone wants to live longer, but none of us wants to get old,” says Stevens. So, Aging Matters is a practical book, covering a broad spectrum of topics on getting old while living longer. It is based on a course offered at Vancouver’s Regent College and its purpose is to illuminate how we all might live the “third third” of our lives well. It’s also formatted at chapter ends with questions to discuss in a study group. Stevens delivers on his title: how do you view your actual calling in life – and what do you do in retirement? He also talks about taking responsibility for your own health, your relationships, and your resources. He examines spiritual development and in this, it’s a Christian book, but not a book only for Christians. 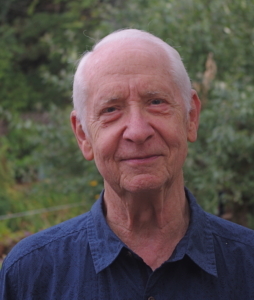 Stevens brings insight to the question of vocation, of calling. You need to integrate your calling with social life and friendships, with ‘play’(including travel or hobbies), with creativity, and with lifelong learning, he says. It is obvious since the economic shift of 2008 that many people who wanted to retire cannot afford to, so they continue working because they must. He writes about that kind of “retirement”, too, because everyone keeps on aging! Stevens draws a sharp line between our actual ‘vocation’ – how God wired us and gifted us – and ‘occupation’ as the formal “doing” of our gifting. He quotes Elizabeth O’Connor (The Eighth Day of our Creation): “We ask to know the will of God without guessing that his will is written into our very beings.” So how the “doing” actually occurs is incidental to our makeup. Many people who take the opportunity to assess their lives at the two-thirds mark (or later) get excited to discover that the seeds of their passion have been with them through much of their lives, even if they had to sacrifice some of that passion to the immediate needs of jobs or parenting careers. 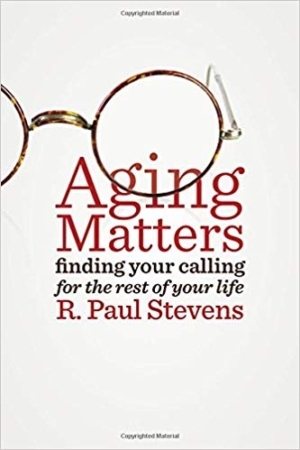 In that vein, the author provides two thought-provoking chapters on the hazards of aging, arguing that new elements of the ‘seven deadly sins’ will rear their heads and might best be regarded as tests leading to growth, rather than being ignored. It’s a worthwhile read! He then includes a chapter on the virtues that can show in late life, on values vs. virtues, especially on the ‘theological virtues’ of faith, hope and love. Stevens devotes a whole section to “legacy”. We leave more than the ‘normal things’ bequeathed to the next generation. We also leave spiritual legacies. He thinks of it differently. One legacy, for example, is to prepare well for death of the body and for eternal life. Living one’s life as a preparation for death is a common theme in early Puritan writings and elsewhere. But even if one worked at it consciously, but such efforts would be limited, says Stevens. “There is more to it than learning, knowing, hearing about, and even wanting these virtues.” He says the gospel leads us to understand that God gives what he requires, including his grace to us. And to those who follow us, that’s an understanding that can become a huge gift! Another example: ‘practise relinquishment’, willingly carrying an attitude of submission (not resentful ‘acceptance’) to the changing realities of your life. Stevens offers many other realistic elements to think about as life nears its end.